Award Eligibility: Art quilts must be free-hanging (unframed), fabric-based, original compositions formed by stitched layers. Quilt max dimensions may be up to 90"h x 72"w. Mixed media/intermedia award: Combining traditional and/or non-traditional media, eligible works stretch conventions of art and composition. Printmaking award: The awarded print is required to illustrate a hand worked element as part of the process in its making (no exclusively digital prints are eligible). Glass award: Over 50% of the work must be comprised of glass, but work may include some sculptural component in metal or other media. Portage Community: Eligible work must respond to theme "A Natural Place to Move" and be available to hang in City Hall lobby for 1 year following close of WMAS. Artist must be a Portage resident able to install 8-12 additional works (subject/theme may vary) in Portage City Hall Sept 12-Oct 31, 2019 (reception Sept 13). Delivery or Shipping of Accepted Entries: Works accepted into the WMAS must be received no later than 2 p.m., May 11, 2019. Entries may be hand-delivered to the KIA May 9-11 (Th/Fri 9 a.m. – 4 p.m., Sat 12 – 2 p.m.) or earlier by special arrangement. For directions and a map, please visit http://www.kiarts.org. Images: Only one image per work may be submitted. No additional views can be accepted. JPG files only, minimum of 1200 pixels on the longest side and 5 MB maximum. Please note: Works requiring special installation must be pre-arranged: call 269.349.7775, ext. 3131, no later than May 10. Reception...............................Friday, May 17, 5:30 - 7:30 p.m. 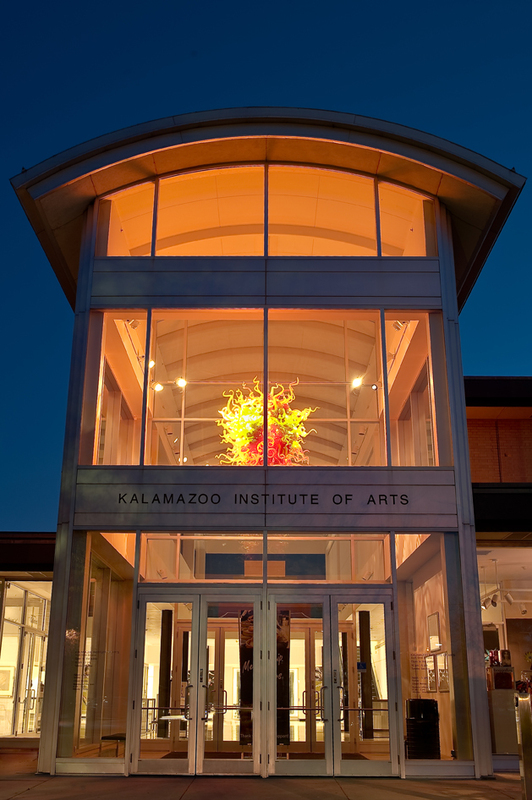 Sponsored by Arts Council of Greater Kalamazoo, Chemical Bank and Michigan Council for Arts and Cultural Affairs. Additional support provided by David Isaacson in memory of his wife, Helen Sheridan.